This summer we're headed to Tuscany for vacation so I've been thinking of which wineries to visit. As luck would have it I recently came to know Jennifer Gentile from VinoTravels - a Boston-based wine blog focused on Italian wines. I was quick to ask her advice on wineries to visit. If you have ever been to Italy you will understand how many wineries there are and places to taste wine and olive oil. It can be overwhelming which one to stop in at. I've always been one to stop in at the names that I don't recognize from the states. These are the vineyards that you can't easily access and where you will sometimes be surprised by the quality of the producer, but they may not export large amounts due to their production or it may be hard to find in your market. It is also pretty neat though to stop in at the well known wineries as well and to see the operations and meet the folks that work hard to produce the wines that we fortunately get to enjoy. Today I'm going to cover 5 of the wineries that I have visited that I would recommend stopping in and tasting the wines in the region of Tuscany. I visited the Fattoria dei Barbi estate in 2007 in the town of Montalcino. 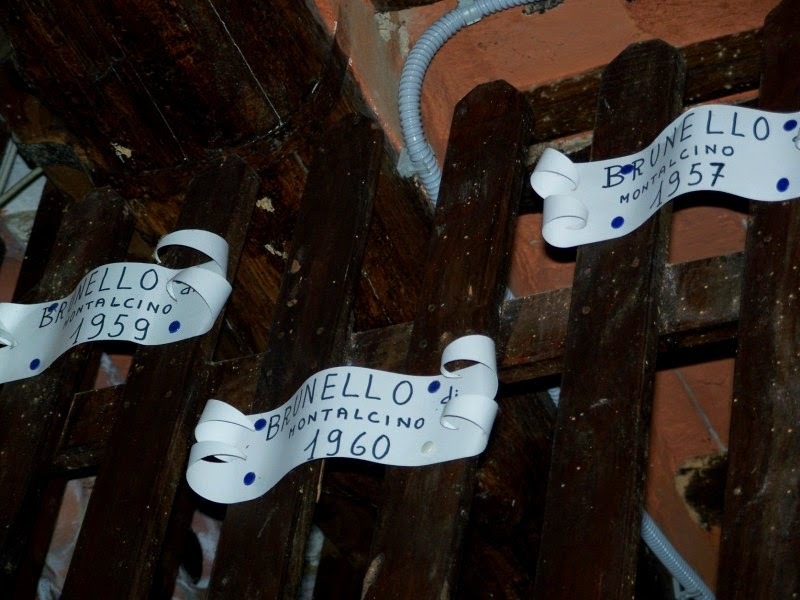 The Colombini family that owns and manages the estate started making the famous Brunello with Biondi Santi in the 1780's. I toured their facility where they produce 800,000 bottles a year with 200,000 of those being Brunello. Their average vines are about 15-30 years old. 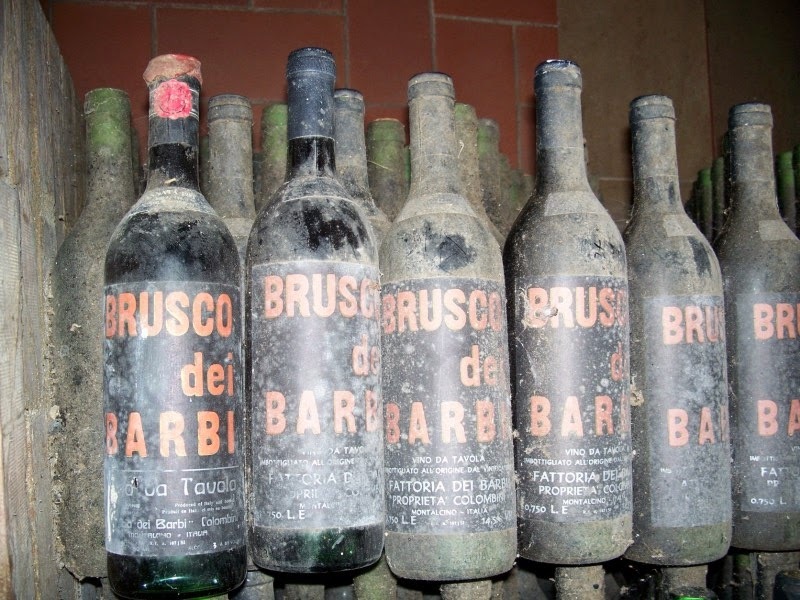 In exploring their cellar they had bottles dating back to the 1870's that were tucked away under dim red lights, but the Fattoria dei Barbi estate opened their doors in the 1950's. 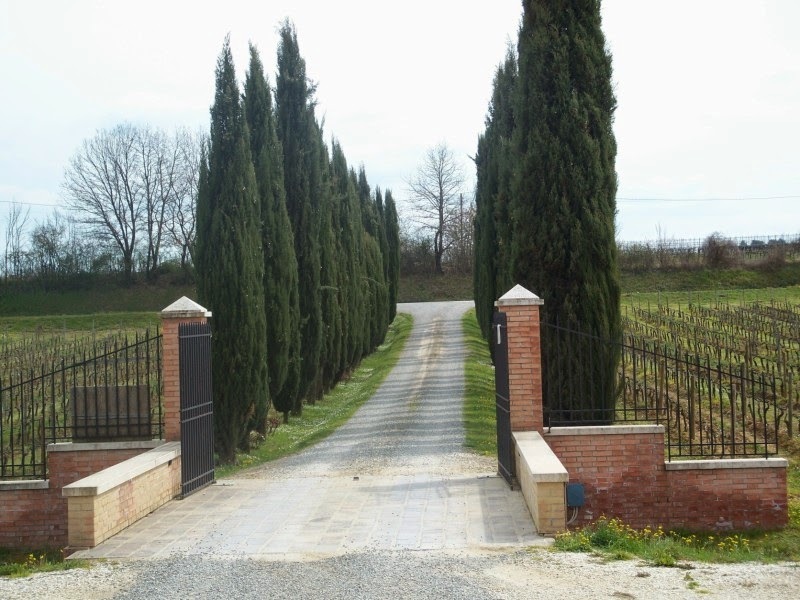 This estate has a long history and many firsts in the industry, including the first Super Tuscan. They are valued for their quality throughout the world. In fact, I'm still sitting on my bottle I brought back, 2000 Brunello di Montalcino. Poggio Antico started off in the late 1970's. I visited them back in 2004 before I developed my strong sense of love for italian wines, but you know quality when you taste it. Poggio Antico has about 80 acres of vineyards planted here with the great majority planted to sangiovese and the rest cabernet sauvignon. 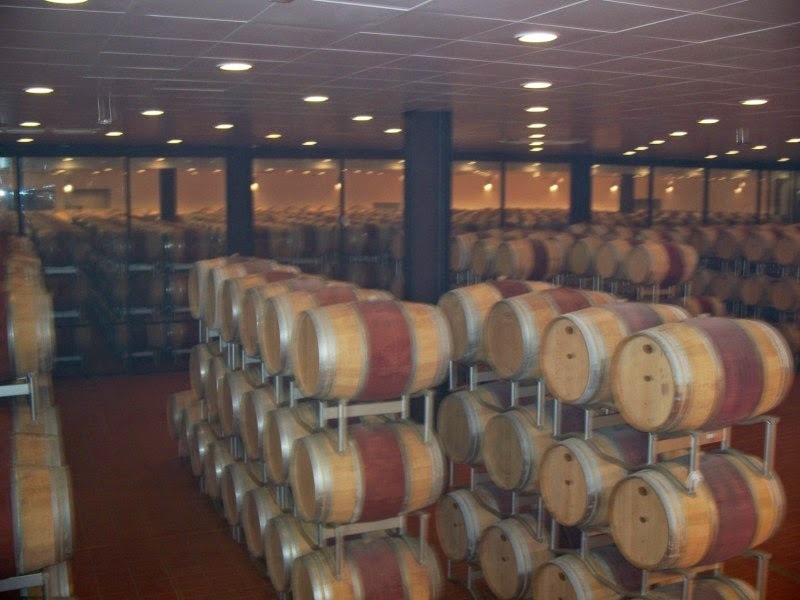 Their fermentation room had 26 vats full of brunello di montalcino, rosso di montalcino and their super tuscan, called madre, made of 50% sangiovese and 50% cabernet with the first vintage in 2001. They hand select their grapes and produce very low yields so that they can ensure the best quality is displayed through their wines. 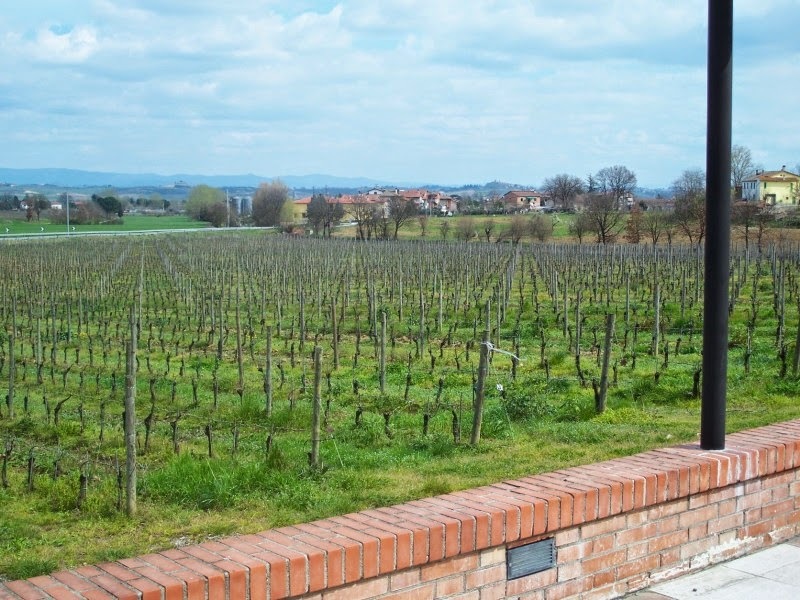 Poggio Antico produces about 95,000 bottles a year. I visited Poliziano in 2007 in the town of Montepulciano not too far from Montalcino, about 30-40 minutes. Lots of drinking going on for my 2007 trip for sure. How can you not? Poliziano was started off in the 1960's. Everything is done by hand on their 250 acres estate. The owner, living above the cellars, at that time of my visit was just arriving back from the US and I toured with the export manager. The newer vineyards at that time were solar powered. Inside the winery they had two temperature controlled rooms in addition to the enormous vats where they produce about 600,000 bottles a year. There is a special parcel of land they have, called Asinone, where they only bottle the wine in years they feel produce high quality. They also produce Vin Santo, but not enough that they market out to the public. I picked up a bottle of their Vino Nobile di Montepulciano, but their newer plantings, a year old, of 75% Merlot and 25% Cabernet were also very good. On my recent visit last October I stopped in at Vignavecchia in Radda. The workers were outside eating lunch when I arrived. The Wine Director, Stefano, was so pleasant and I tasted everything from their rosato, chardonnay, chianti classico as well as their chianti classico riserva, super tuscan and finished with Vin Santo. They were all very enjoyable. My favorite really was the 2009 Vigneto Odoardo Beccari, which is their Chianti Classico DOCG Riserva that was a blend of 90% sangiovese and 10% canaiolo. It takes the workers two weeks with 10 people to harvest. In Stefano's opinion 2007 and 2008 were the best vintages. They produce about 80,000 bottles a year. The winemaker stopped in briefly, but since this was harvest season she was a busy lady. You can view further information on my blog about Vignavecchia. Another winery I visited this past October in the Chianti Classico region, that is more well known, was Castellare di Castellina in the town of Castellina. This winery has received a number of awards for their wines. I entered a small tasting area to taste the wines. Here my favorite was the 2008 I Sodi di San Niccolo, which is their super tuscan, but I had tried all of their chianti classicos and chianti classico riservas. After the tasting I was fortunate to watch the workers putting the newly picked clusters through the destemmer and the juice and grapes were being shot through a tube to the tanks. This winery has 30 workers during the harvest time and it takes them about 6-7 weeks to finish picking their grapes. 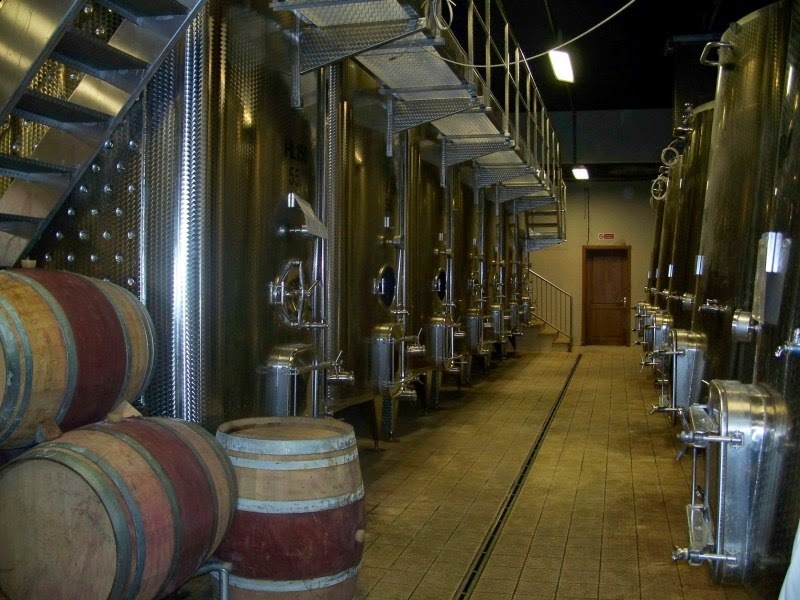 They make about 200,000 bottles and 85% of their production comes from sangiovese grapes. You can view further information on my blog about Castellare di Castellina. Of course there are many more wineries I could discuss, but I tried to mention some of the ones where I had an enjoyable experience. When I open some of my bottles that I still have from this list I will absolutely share them with you on my blog, Vino Travels. I would love to hear of your favorites from this region so drop me a note. Question of the Day: If you've visited wineries in Tuscany, what are some of your favorites? If not, which wineries would you want to visit based on their reputation and your experience enjoying their wines? Many thanks to Jen for this post! Retailers seem to be bashing themselves over the head trying to offer the lowest price on the planet for the 2012 Caymus Cabernet. 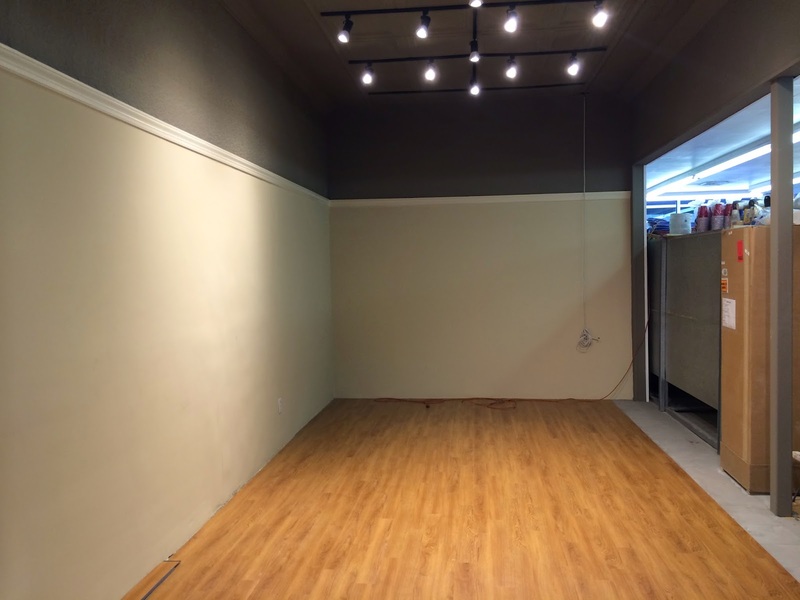 And when retailers compete, consumers win. It's surprising to see Caymus in particular going so low. I seem to recall them raising their price the last couple vintages as the recession lifted and premium wines were selling more briskly. Whereas you could find the 2009 and earlier for $59.99 at discount retailers, the 2010/2011 were selling for a bit more - say in the upper $60s. There have been quite a few offers for the 2012 in the $54.99 range but I spotted one today for just $52/btl when you buy a 12 bottle case. That's a rather amazing deal especially considering there is no sales tax on wine in Massachusetts. You can ping @RooftopGourmet on Twitter for more info. Subscribe to The Wellesley Wine Press for future deal alerts. Spanish wine legend Jorge Ordóñez will be on hand for an upcoming paired wine dinner at Legal Sea Foods' Framingham, MA location. Ordóñez is the creative force behind an amazing number of Spanish wines enjoy here in the US. He's part of the group that brought us Alto Moncayo. He helped form El Nido. And most recently he gave us Triga. Tremendous values each of them and at this wine dinner priced at $75 a head (plus gratuity) he is associated with another nice value. Legal Sea Foods is also offering a Kistler wine dinner at their Legal Harborside location in Boston. 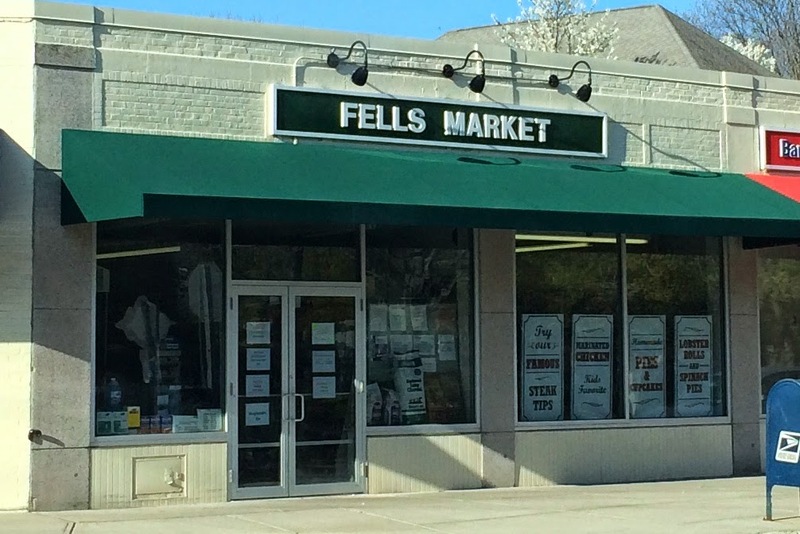 WHAT: On June 4, Legal Sea Foods in Framingham will host a wine dinner with Fine Estates from Spain. Importer and merchant, Jorge Ordoñez, imports Spain's largest wine portfolio to America and provides a balanced spectrum of what he believes to be the best Spanish wines available in America. Ordóñez takes great pride in discovering, reintroducing and developing a wide array of varietals. Legal Sea Foods will team up with Ordóñez to host an exclusive four-plus-course dinner featuring signature cuisine paired with his selections from the Fine Estates from Spain vine. In Massachusetts, we've been waiting for years for the direct shipment of wine to become a reality. It's been a roller coaster. Every couple years a new bill would be introduced only to linger in committee and never see the light of day. But seemingly out of nowhere hopeful news has arrived. Rather than relying on one of several bills to make it out of committee, legislators used "one weird trick" to bring the issue forward. They included an amendment to this year's budget that would enable the direct shipment of wine. Brilliant! See this story for more information. The Passionate Foodie does a great job breaking down the high points of the amendment. The fees, the administration, taxation - that kind of stuff. That's adequately addressed in both the original and revised versions of the bills. 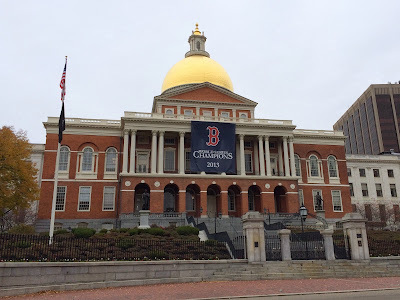 In fact, there are some improvements to key issues in the revised version: The original version of the amendment required wineries to be bonded specifically for shipping to Massachusetts and also required monthly reporting of shipments. Both are rather onerous and were changed in the revised amendment. No bond is required and reporting will be annual. Currently Massachusetts law requires that each and every truck a parcel delivery service uses to transport wine has a permit. With thousands of trucks in operation it would be costly for FedEx/UPS to obtain permits for each and every truck. Most states offer a fleet-wide permit. The original amendment had a provision for fleet-wide permitting. Unfortunately the revised bill struck that wording. It's unclear what percentage of FedEx/UPS trucks are currently licensed to transport wine (for in-state shipments from wineries and retailers that already occur) and whether the upside associated with broader allowance of legal shipment would encourage them to pony up and pay for per-truck permits. So other than the FedEx/UPS permitting sticking point the amendment looks good to me. And I love the idea of attaching this to the state budget. But there's one big thing missing from the amendment. And that's inclusion of out of state retailers. That means we'll only be able to gain access to domestic wines as part of this direct shipment bill since out of state retailers - the only purveyors of imported wines in the US - would still be barred from shipping to Massachusetts. And we all know the best deals come from wine retailers. Tom Wark has covered this subject succinctly and effectively. Oh and one other thing: Massachusetts retailers still can't ship out of state. Massachusetts is the only state I'm aware of that outlaws this. That needs to be changed. But we'll take progress where we can get it. File this one under: Developing. I'd love it if you subscribed to The Wellesley Wine Press to keep up to date on future updates on this.